This following information is in regards to “Share the Love” Facebook contest that will commence on 1/22/2018 at 9:00 a.m. PST. 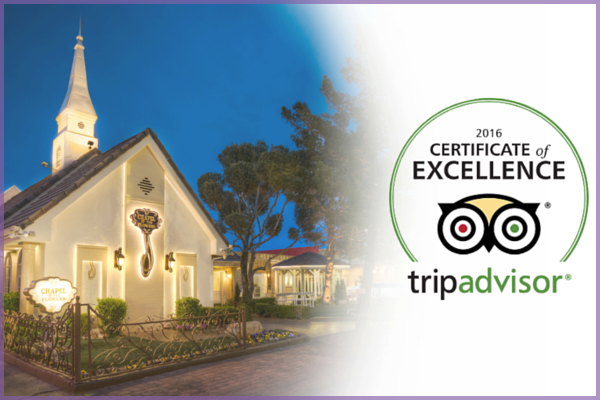 The historic Chapel of the Flowers, one of the top venues in Las Vegas, the Wedding Capital of the World, received the 2017 Certificate of Excellence from TripAdvisor. Reviews and ratings from couples and their guests contributed to the award that is presented annually. 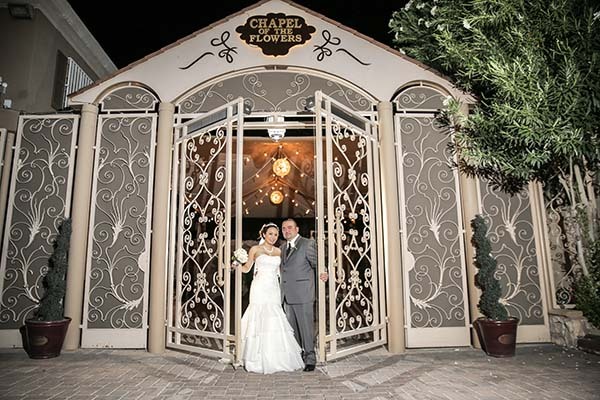 TripAdvisor, The Knot, Vegas.com, Wedding Wire, and Las Vegas Review-Journal bestow honors on famous chapel that has been home to weddings on the famous Las Vegas Strip since 1960. The readers have voted and we won! 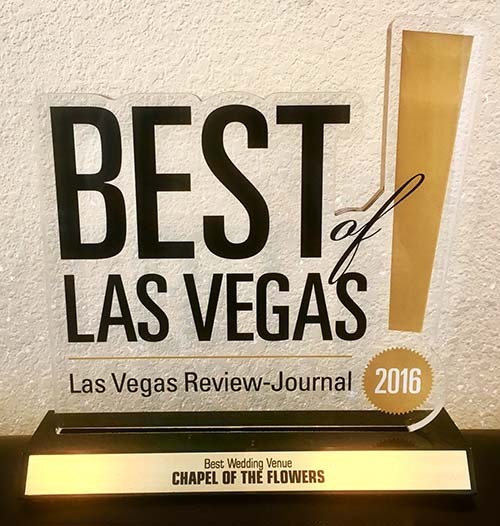 Chapel of the Flowers was awarded the “Best Wedding Venue” by the Las Vegas Review-Journal, winning the coveted gold honor at the ceremony hosted by Suzanne Somers at the Venetian Hotel on November 5, 2016. 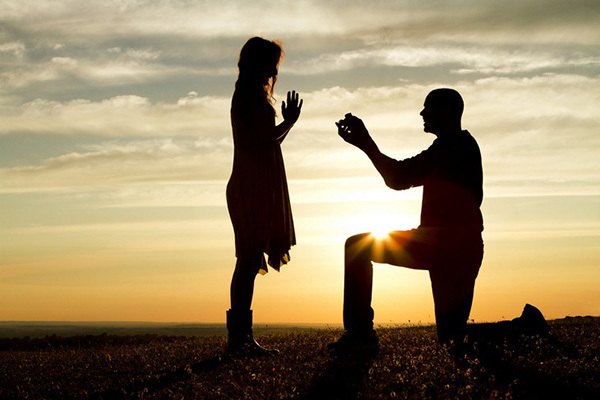 On December 10, 2015 Chapel of the Flowers released the findings of data they have compiled on engagements and weddings in the United States. 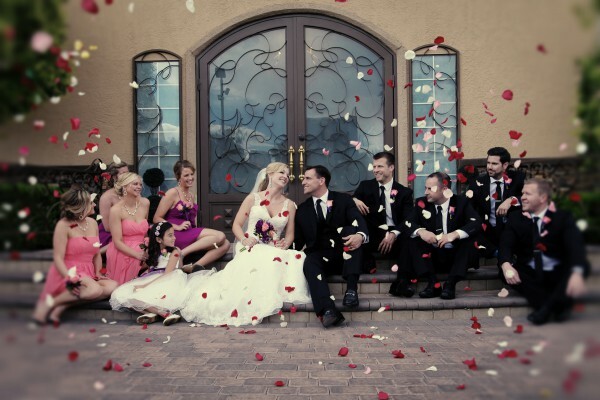 You don’t want to miss these exciting facts about Las Vegas weddings if you plan to get married in 2016.